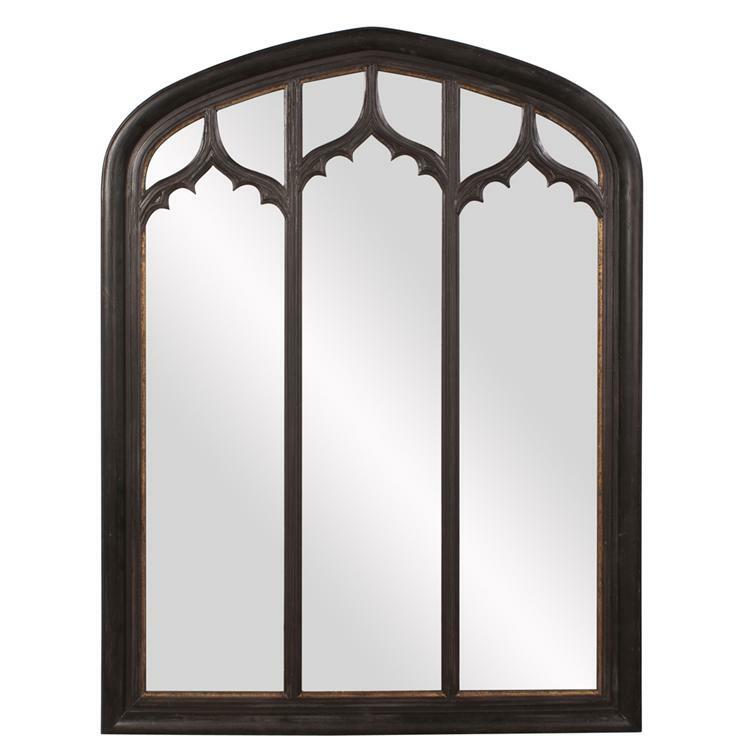 The Tampa Mirror is fashioned like a cathedral window. It features an arched shape divided into arched sections. The wood frame is then finished in a rich Tuscan brown that is then highlighted with an antique wash enhancing its old world look. It is a perfect focal point for any design. Customizable for larger orders.